I’m sure many of you have children that go to nut-free schools. Have you thought to yourself, “How can I make it through Lent without sending them to school with a PB&J sandwich?” Well, I have a solution for you…Pumpkin Seed Butter! I think it tastes nutty and am so excited to try it on many different things. My kids devoured it and asked for more. 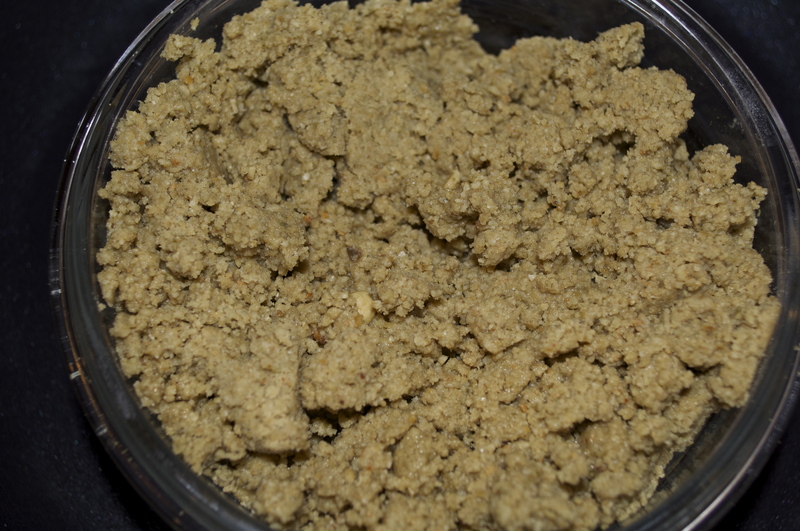 If you can eat nuts, you can also try to make many other types of nut and seed butters. It’s easy! Just puree toasted seeds or nuts until creamy. 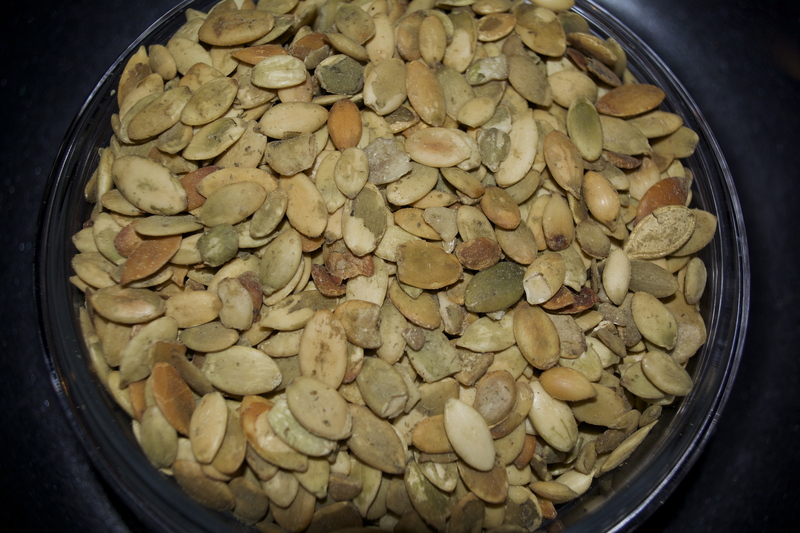 I bought the pumpkin seeds already toasted & salted from the bulk section of a natural foods grocery store. If you have food allergies, make sure you check the label! It could be cooked on shared equipment or they might use an oil you cannot eat. If you need to toast them, it’s easy. Just put the seeds on a baking sheet and cook at 350 degrees for about 15 minutes or until golden brown. Let them cool completely before you puree them. I could have pureed my a little bit longer to make it smoother, but was pressed for time. Posted in Allergy-Friendly Fasting Recipes and tagged nut free butter, PB&J, pumpkin seeds on April 18, 2014 by Kristina.